W. Henry Renninger was an Air Transport Command pilot during World War II. After the war, he was one of the original five founders of Seaboard & Western Airlines and was vice president of engineering and director of materials. Shortly after the merger with Flying Tigers, Henry was honored when Doris dedicated a new Boeing 747F the "W. Henry Renninger." 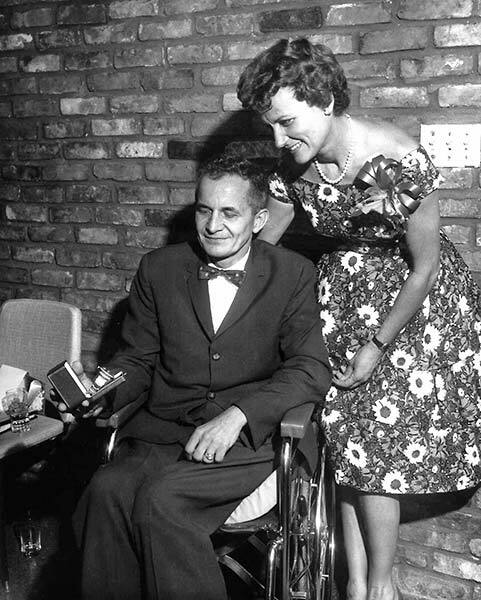 He is seen here Doris at his retirement in 1963.